Yesterday, I headed out for some pool table service and noticed something a bit funny about the day’s schedule. We had three jobs scheduled for the day and each of the customers’ were named Jeff. Three different Jeffs, three different cities, three different pool tables. Jeff #1 had a beautiful Warm Chestnut Dutchess (pictured above) delivered to his home in Brentwood, CA. Jeff #2 in Fullerton, CA had his pool table disassembled and temporarily moved to the garage while some major remodeling is being done to the billiard room. 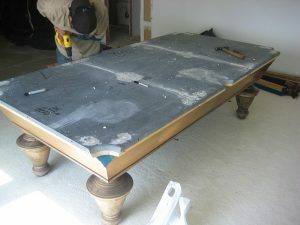 We will go back after the new floors are complete and setup the table once again. 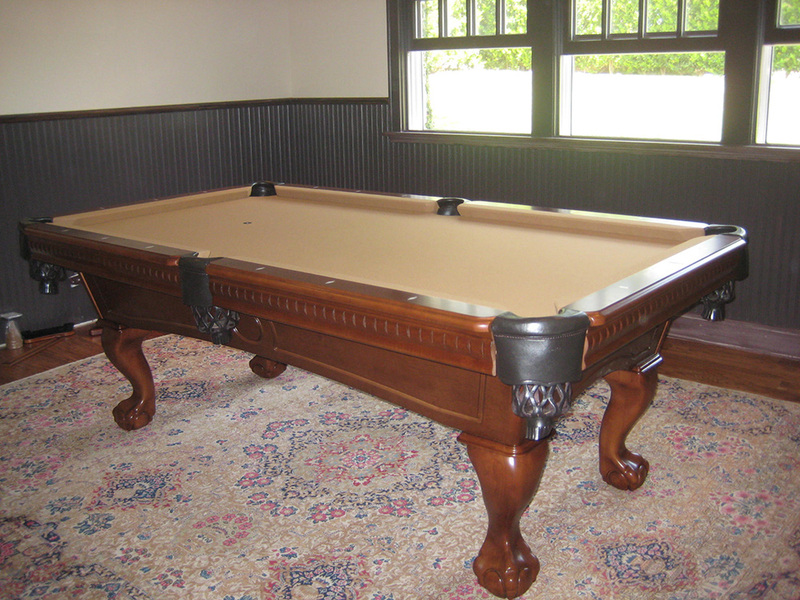 Jeff didn’t know much about his pool table since he inherited it with his new house. After giving Jeff a little bit of history about his old Adler antique replica, he was excited. 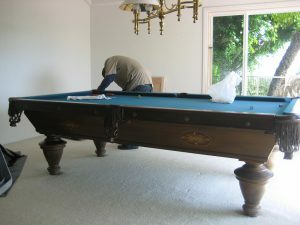 He will be refinishing the wood on the pool table and I’ll refelt it when when his room remodel is complete. We’ll keep you updated. Jeff #3 is moving away from Anaheim, CA and heading back to his home state of Texas. Jeff hired us dismantle his Camelot pool table and crate the slates for his moving company to transport all the way to Texas.